Anytime is a good time to deepen your friendship with God. This is the story of how my relationship began and has grown over the years. It is the first chapter in my book, Screaming On the Inside. Each chapter is a true story and each one concludes with an Application Study Guide, Nuggets of Truth, Meditation Questions, a Personal Prayer and Scripture References that are relevant to the topic of the story. I hope you enjoy Chapter One- Friendship With God in it’s entirety. In 1960, my dad pastored a little country church in Mosier, Illinois. or comforting—place. It had no carpeting or padded pews. brought life and softened the harshness of the old Christian Church. I liked to sing along with mom and dad as they led the song service. peaceful spot, it was my favorite place to gaze out of the window. heard Bible stories about Him, I had never personally met Him. How could I be longing for Him? the meaning of all the words, that song carried me away. childish way I said, “Jesus, I don’t want you to live so far away. there with Him for what seemed a long, long time. another note in the chord for Mark and told him to sing that one. to keep us from looking at each other and giggling. It worked. River, where Dad was pastor of a non-denominational church. was hand-cut from velvet, which would stick to the flannel. needed as I caressed the velvet figures, waiting for the next scene. Bible every day and singing in church when my parents asked. comfort in knowing my true Friend was always with me. authentic moments; my relationship with Jesus remained juvenile. remained my anchor point. I never forgot He lived inside of me. going through the motions of what I was being taught in church. chapters. But, I want to tell you one of those stories now. about climbing the social ladder. singer…or at least they didn’t need me. something was terribly wrong but I didn’t know what I had done. nearness. He felt so far away. very unbridled; I had been blinded by my selfishness. I told Him how sorry I was. In my brokenness, I found Him again. was going to handle it. I had no reference for that kind of lifestyle. in order to make the transfer from my world of importance to His. began to use spiritual muscles that had never been exercised before. my lips, I realized that transformation was finally taking place. us. Even in the testing and training, He was proving Himself faithful. Pick one day out of your week when you can take time to sit and reflect on the following thoughts and respond to the meditation questions below. First Key To Becoming Free: Become a Friend of God. • The first stage is when the purpose of a relationship is to “use” someone. It is, in fact, prideful, arrogant and self-serving. • Stage 2 is when the relationship moves to admiration. You develop a genuine interest in who they are. You want to know them better. Perhaps you want to become more like them. You feel special when you are in their presence. • The next stage is when spending time with that person becomes a priority in your life; you can open your heart and share everything. You take great delight in knowing them, loving them, caring for them and serving them. It is also important to demonstrate your love toward them. Sometimes, one must aggressively pursue the Lord with strength and fortitude: you study Him like you would learn a subject in school. Read His Word or study material that enlarges your under- standing of Him. Seek out those who understand His ways and sit under their teaching. Seek out people or gatherings where God is free to move in the full measure of His Spirit. Learn the ways of the Spirit from being around those who are pursuing and functioning in them. Giving your heart to the Lord Jesus doesn’t mean that you are exempt from pain and struggles. In fact, the Word clearly says that we will have them. Consider it pure joy, my brothers, whenever you face trials of many kinds. —James 1:2. In His great love, the Lord allows us to face difficulties. However, when Jesus is Lord of our life, we have a constant companion beside us, guiding and strengthening us through it. John 16:33—I have told you these things, so that in me you may have peace. In this world you will have trouble. But take heart! I have overcome the world. Romans 8:28—And we know that all things work together for the good to them that love God and are called according to His purpose. I had no idea Jesus desired to have friendship with me. That revelation changed everything for me. Before long I became comfortable with Him, and began having intimate conversations with Him day and night. The more our relationship grew, the more I fell in love with Him. My heart awakened to His kindness. Time and time again He showed me His unconditional acceptance and how He didn’t measure me according to my past but according to who I am in Him. After I learned that, I would spend hours just enjoying His pres- ence. Even though I couldn’t see Him, I felt Him next to me. It was like I was soaking in the rays of sun on a warm afternoon. Before that time, I had no idea I was so loved. His love radically changed me. As I surrendered myself and opened my heart to Him, He filled me with His Spirit. Then He began to teach me His ways and reveal His thoughts to me. Listening to the Lord requires exercising your “spiritual ears.” Linger in quietness to hear Him speak. Listen with your Spirit, not with your mind. At some point, stop your flow of words and listen. Let Him speak with words of love and encouragement, wisdom and knowledge, instruction and direction. We will never hear Him if our mouth is constantly moving. It’s like any other conversation. In order to listen, it is necessary to stop talking. In times of waiting on Him, I don’t pray, sing or study. I simply wait in silence. If you don’t hear anything the first time, try again and again. Don’t give up. Your spiritual ears have to be trained to hear. God speaks Spirit to spirit. He also speaks through His Word or through other people. But I believe He always speaks directly to those who have been trained to listen to His voice. The more we wait on Him, the better we know Him and the more finely tuned we become to His voice. Give God space in your life and He will come and respond to you. Deuteronomy 4:29— But if from there you seek the LORD your God, you will find him if you look for him with all your heart and with all your soul. As you learn to discern His voice, remember that the Lord will never say anything that contradicts His Word. If you’re not sure that you heard Him correctly, ask Him for confirmation of what He said. Or, ask mature and trusted Christian leaders to help you discern His voice. If it was His voice speaking to you, He will confirm it. Take time to examine your heart and answer the following questions. 2. Is God a friend to you? What kind of friend? Is your relationship growing deeper with Him? 3. Do you hear an “inner” voice and do you know it is the voice of the Lord speaking to you? For example, when you are making a decision about what to do or say, is the voice faithful to, and consistent with, the scriptures? What are some things that He has said to you? 4. Do you want to cultivate a better friendship with God? If so, what are you going to do to pursue that friendship? As you read this prayer, make it your own. You have been a part of my life but not as much as You could be or as much as I want You to be. You are so much more than a friend…You have supreme authority and are also Lord of the universe. Now that I understand You long for a deeper relationship with me, I come in agreement with Your desire. I want to get to know You and for You to become real to me on a daily basis. Please fill me with Your Spirit. Teach me Your ways and lead me in the paths of understanding. Deepen my passion for You so I can mature in wisdom. Give me grace and strength to pursue You. Draw me close to your side for I desire to walk and talk with You through- out the day and be called Your friend. Help me be a good friend to You. Your Son. In Jesus’ Name, Amen. James 2:23—And so it happened just as the Scriptures say: “Abraham believed God, and God counted him as righteous because of his faith.” He was even called the friend of God. 1 John 4:7—Let us love one another, for love comes from God. Everyone who loves has been born of God and knows God. James 4:4— Don’t you know that if you love the world, you are God’s enemies? And if you decide to be a friend of the world, you make yourself an enemy of God. Exodus 34:14—You must worship no other gods, for the Lord, whose very name is Jealous, is a God who is jealous about his relationship with you. Romans 4:13—Clearly, God’s promise to give the whole earth to Abraham and his descendants was based not on his obedi- ence to God’s law, but on a right relationship with God that comes by faith. 2 John 1:9—Anyone who wanders away from this teaching has no relationship with God. But anyone who remains in the teaching of Christ has a relationship with both the Father and the Son. Revelation 21:3— And I heard a loud voice from the throne saying, “Now the dwelling of God is with men, and he will live with them. They will be his people, and God himself will be with them and be their God. Romans 5:11—So now we can rejoice in our wonderful new relationship with God because our Lord Jesus Christ has made us friends of God. 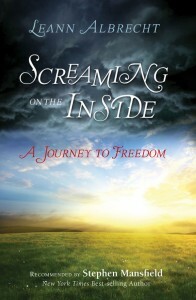 To read more about my life’s journey in the other 10 chapters, buy the book online.